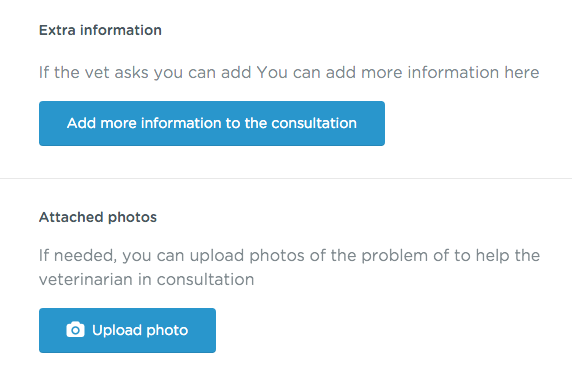 Go to the section of "My consultations" on Barkibu. Click on the question you want to update. For adding more info, in the section "Extra information", click on the button "Add more information to the consultation". Describe in detail additional information. Finally, click "Add information" and it will be published. If you want, you can also add photos, by clicking on "upload photo" in the section "Attached photo"